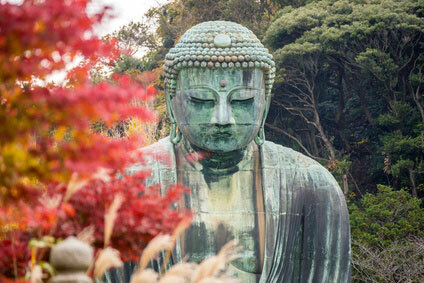 Capital of the first shōgunate between 1192 and 1333, Kamakura is famous for its medieval temples and especially its Giant Buddha in bronze, one of the most recognisable Buddha statues in the world. Kamakura was the city where Japanese Zen Buddhism first developed, and where the Nichiren school of Buddhism was created. 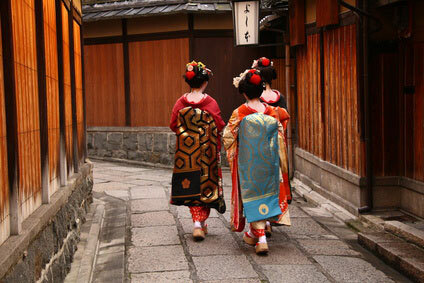 Thanks to this exceptional heritage, Kamakura is only second to Kyoto for the number of major historical temples. 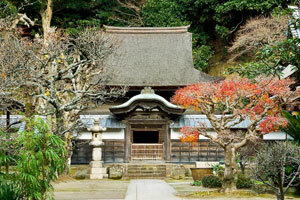 Kamakura holds an important place in Japanese history. 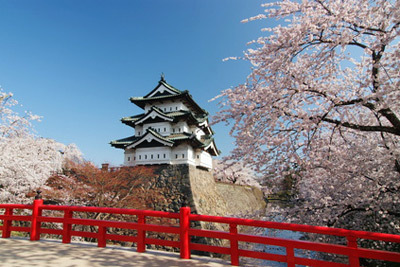 It is where the first shōgunate was established in 1192 and lasted until 1333. During the Heian period (794-1185), the Emperor had only a ceremonial role and the real power was in the hands of the Fujiwara clan. When their power began to decline, the Taira clan, led by Taira Kiyomori, and the Minamoto clan, led by Minamoto Yoshitomo fought for supremacy. In 1159, the Taira managed to defeat their enemies, but spared the life of Yoshitomo's 3rd son, Yoritomo. He went to live in the Izu peninsula (next to Kamakura) and started gathering support against the Taira as soon as he grew old enough to do so. He set up his base in Kamakura for the strategic situation it offered, encircled by sea and hills, and therefore easy to defend. By 1185, he had destroyed the Taira clan, and was appointed shōgun in 1192. At his death, however, the lack of heir prevented the Minamoto to continue to rule, and the power passed on to his wife's family, the Hojo. 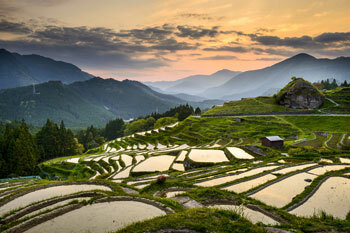 The legendary battle is described in the classic of Japanese literature The Tale of the Heike. 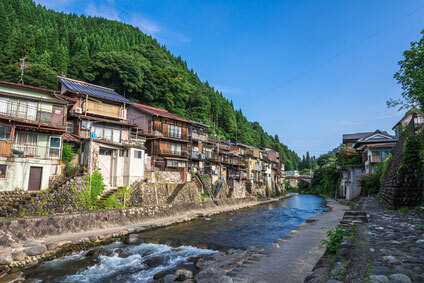 Halfway between Kamakura and Kita-Kamakura stations on the Wakamiya-dōri (main road), you will find Tsuruoka Hachimangū, the largest Shinto shrine in town, and one of the most important in the Kanto area. It played a major role in the history of the Kamakura shogunate. This is where Minamoto no Sanetomo, the last of shōgun Yoritomo's sons, was assassinated in 1219. 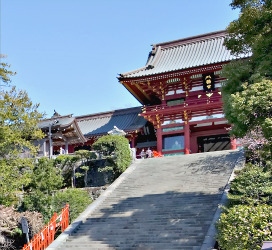 The shrine was established in 1063 and is dedicated to Hachiman, a syncretic Shinto-Buddhist divinity reverred as the kami of archery and war, as well as the divine protector of Japan, the Japanese people, the Imperial House, and the Minamoto clan. As in all Shintō shrine, its entrance is marked by a torii gate. 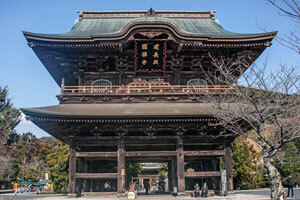 This shrine actually possesses three successive gates. Walking from the beach toward the shrine one passes through Ichi no Torii (first gate), Ni no Torii (second gate) and San no Torii (third gate). 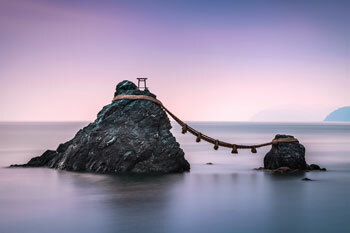 Following the first torii are three bridges, a ceremonial arched bridge in the middle and two flat one on either side. 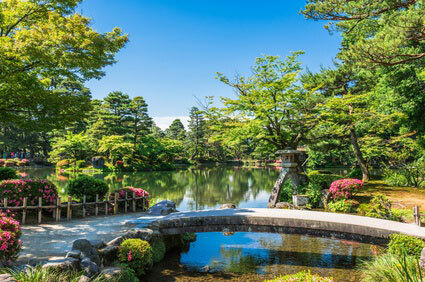 The bridges span over a canal that joins together two ponds known as the "Genpei ponds". They were named after the two famous clans, the Minamoto ("Gen") and the Taira ("Pei"), that fought each other in Yoritomo's day. The pond on the right, with the white lotuses, represents the Minamoto clan, while the other one, with the red flowers, represents the Taira clan. The nummber of islands in each pond is highly symbolic. The Minamoto pond has three islands, a number which also sounds like "birth" in Japanese, while the Taira, who lost the war, have four islands, four being a homophone of death. Kamakura's most famous sight is without a doubt its Daibtsu, a giant bronze buddha statue dating from 1252. 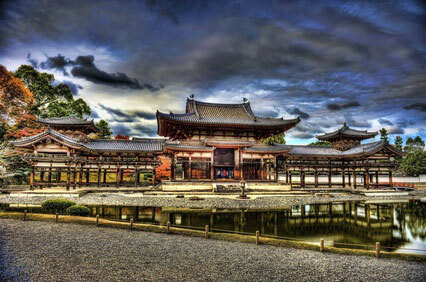 It used to be housed in a huge hall, which was destroyed by a tsunami in 1495. It is 11.5 metre tall and weighs 850 tonnes. 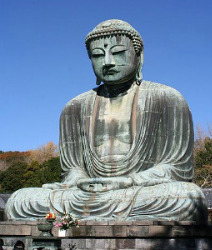 The Daibutsu does not represent the historical Buddha (Siddhartha Gautama), but Amida (Amitabha in Sanskrit), a celestial buddha and the principal buddha in Pure Land Buddhism. There are over 35 giant buddha statues over 10 metres in height in Japan, and although the Kamakura Daibutsu is far from being among the tallest, it is the second oldest after Nara's Daibutsu and is generally regarded as one of the most aesthetically pleasing ones. 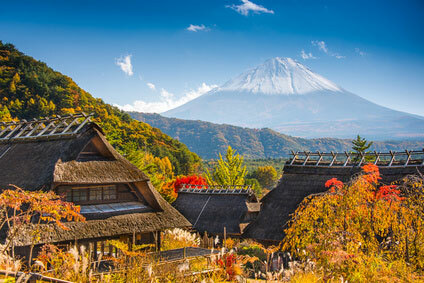 Kamakura was the place where Zen Buddhism first flourished in Japan after its introduction by Nōnin in the 12th century. Like Kyoto, the former capital has so-called five great Rinzai Zen temples, popularly called the Five Mountains, or Gozan (五山) in Japanese. Between the Daibutsu and Hase station (Enoden line), Hase-dera Temple (長谷寺) was founded in 736, but did not devevlop into a major temple until the 13th century. 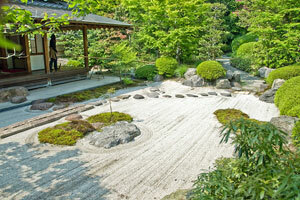 It possesses beautiful gardens and renowned Kannon statues and Jizō statuettes. The latter are dedicated to the soul of children lost by abortion or miscarriage. 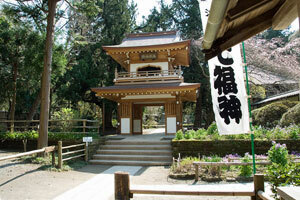 Sugimoto-dera (杉本寺), founded in 734, is the oldest temple in Kamakura. There are three Kannon statues, including the 11 faced Kannon of Sugimoto (十一面杉本観音). The Hōkoku-ji (豊国時) is also worth mentioning for its photogenic bamboo grove. 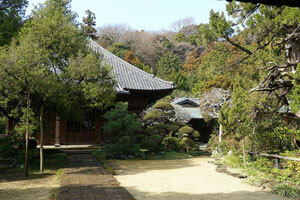 Kamakura was the birthplace of the Nichiren school of Buddhism, the only one native to Japan. There are dozens of Nichiren temples in the city. The most notable are Ankokuron-ji, Myōhō-ji and Myōhon-ji, all located on the hillside east and southeast of Kamakura station. For an extensive guide of Kamakura's temples and shrines, their history and religious context, we recommend the excellent Kamakura: A Historical Guide , by Francesco Baldessari. Direct trains to Kamakura depart regularly from Tokyo (1h, ¥890), Shimbashi, Shinagawa (40min, ¥690) or Yokohama (25min, ¥330) stations on the JR Yokosuka line. You can also take the JR Tokaido line, but be aware that you will have to change train at Ofuna (大船).